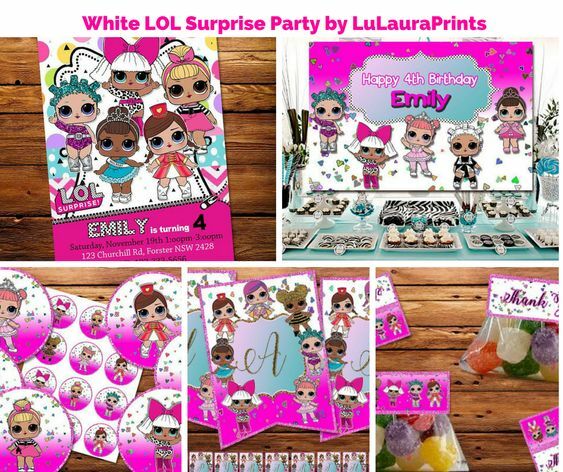 Birthday Themes, Party Ideas, Party Supplies! Follow - Share with Your Peeps, or Save for Later! 13 Piece Balloon Bouquet ( 34″ Tall Diva, 17″ Round LOL Balloons, 16″ Stars, 12″ Latex Balloons. All are helium grade and float). 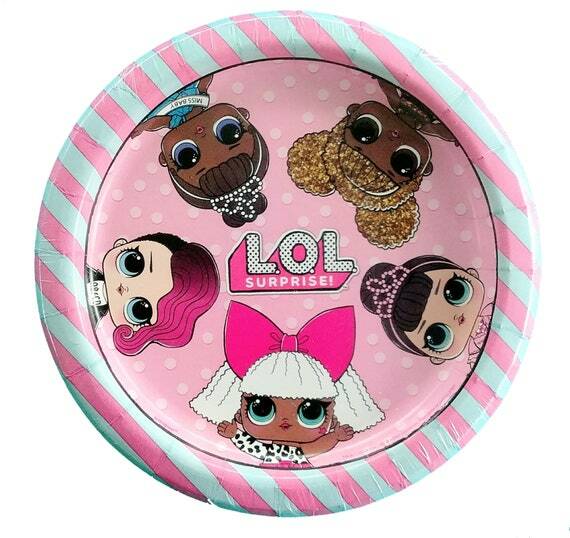 Brand New LOL Party 9″ Dinner Plates. Each pack includes 8 paper plates. 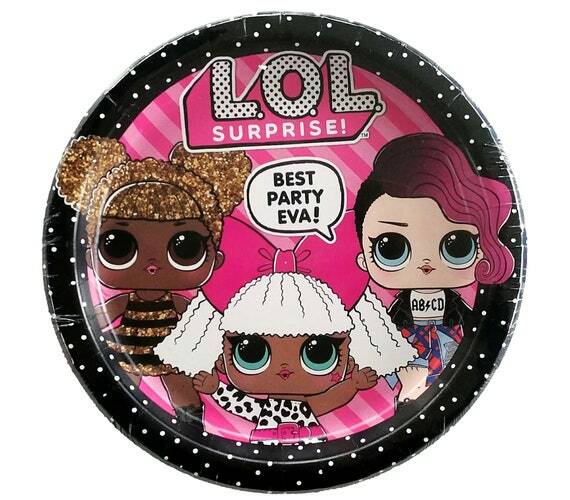 Brand New LOL Party 7″ Dessert Plates. Each pack includes 8 paper plates. 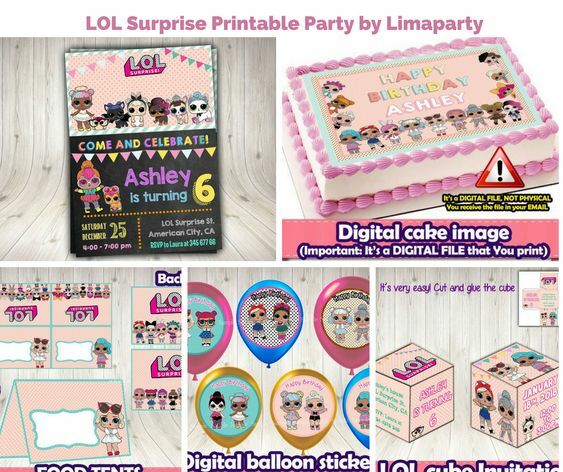 We have more LOL Surprise party supplies in our shop! Brand New Complete Kit of Decorations. 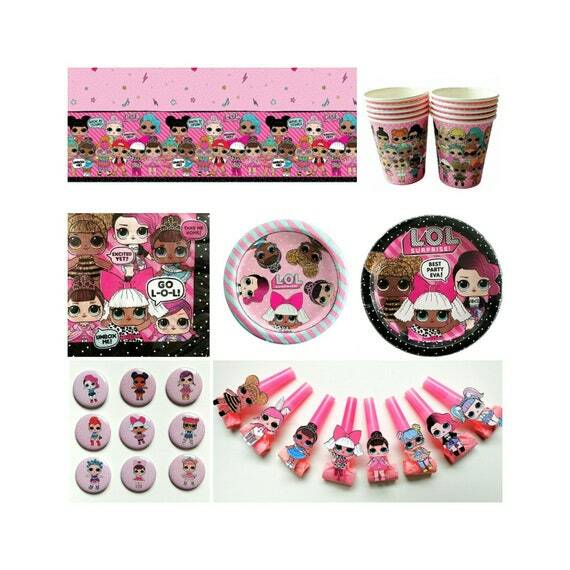 We have more LOL Surprise party supplies in our shop including party plates, cups, balloons and more! Brand New LOL Surprise Napkins. Each pack includes 16 Lunch size napkins. 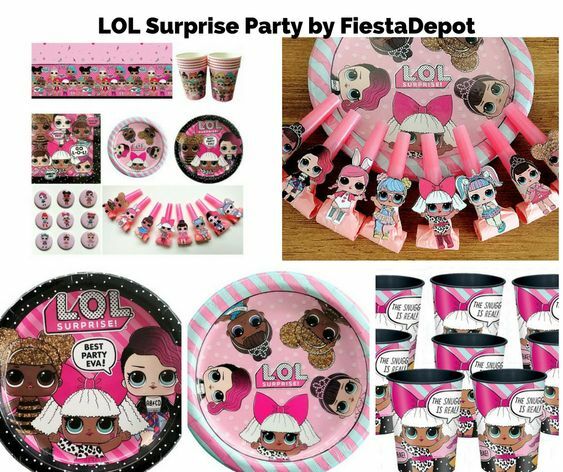 Up for sale is a 28 piece set of LOL party favors. 1 Piece Brand New LOL Happy Birthday Banner in 5.5ft Long. 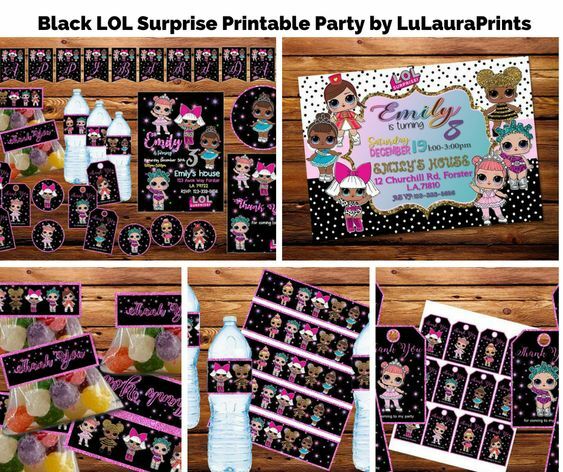 8 Piece Brand New LOL Party Favor Cups. Cups are made of reusable hard plastic and each cup features 3 girls. You will receive 8 cups per purchase! Up for sale are 8 LOL Surprise Blowouts for children ages 3+. This is a handmade item made by Fiesta Depot. 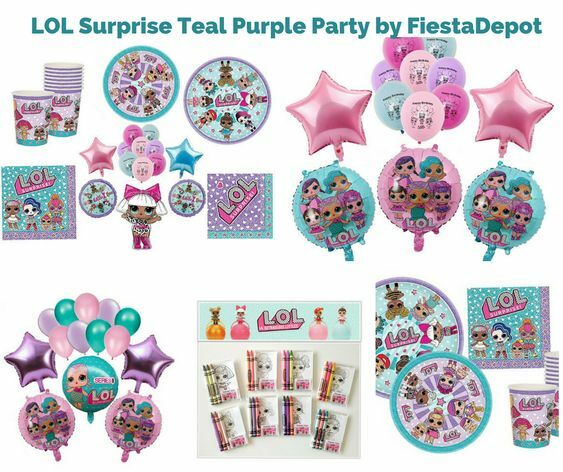 Up for sale is a 48 piece set of LOL party favors. Download Our FREE iOS Apple App! Simple Birthday Wish List Saver!